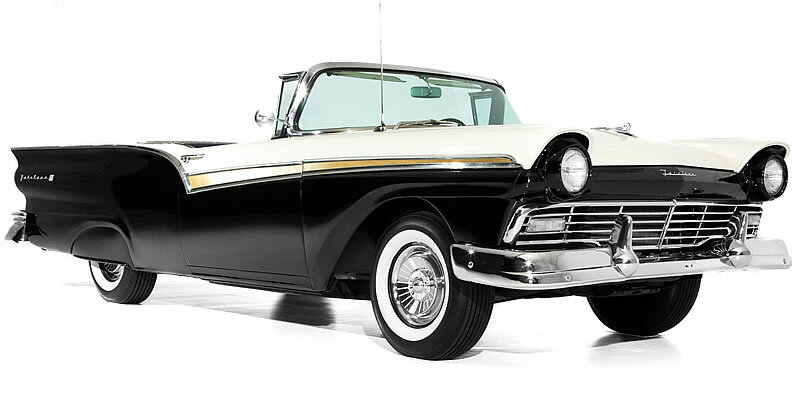 The 1957 model year saw the launch of Ford's Mechanical Miracle - a true hardtop convertible. Unveiled at the New York Auto Show on December 8th, 1956, The Skyliner Retractable was a hit with the public. 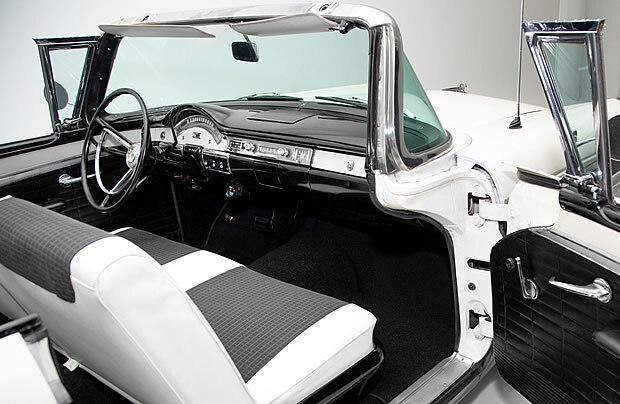 Of course, this Hide-Away Hardtop would sit pride-of-place in the top of the line Fairlane 500 Series. A flagship model showing off what Ford was capable of. This particular car was built in the Kansas City plant with the original owner choosing the Raven Black and Colonial White color combination. The Fairlane 500 Skyliner came with a 292 cubic inch V8 engine as standard. 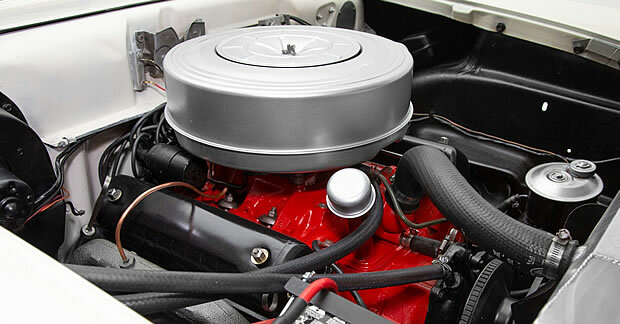 The original owner did pay a further $143 for the 312 cubic inch Thunderbird Special that produces 245 horsepower. They opted to pair this with a Ford-O-Matic automatic transmission rather than the 3-speed manual that came as standard. This would have cost another $180. They also opted for an AM radio costing $100, Master-Guide power steering at $69 and a MagicAire heater/defroster at $85. On paper the Retractable would seem to solve all the problems of users wanting a convertible without the problems associated with them. However, it introduced its own set of problems, not least the complexities involved in lowering the top. Added to this was the small storage space in the trunk when the top was down. Here it is in operation. These days, all this seems irrelevant - with those practicalities less important for a car used occasionally just to enjoy and have fun in. Just as it did when it was launched all those years ago, the operation of the top is bound to draw a crowd. Skyliner Retractable sales were a modest 20,766 cars sold in their first year. The Sunliner Convertible sold nearly 77,000 more and was over $300 cheaper than the Skyliner's price tag of $2,942. In fact this was the highest sales figure of the three years that the Skyliner Retractable was with us. With fairly limited sales and the complexities of maintaining the top meant the writing was on the wall for this marvel. Sadly, Ford wouldn't even come close to recovering their huge development costs. But this is what makes these cars special and super-collectable nowadays. If you like this car take a look at the 1959 Retractable.